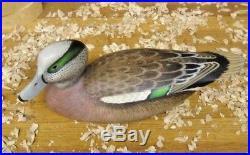 Up for sale is a very nice Wigeon drake decoy by the late New Jersey carver Armand Carney D. 2008 of Absecon New Jersey and Floyd County, Virginia. 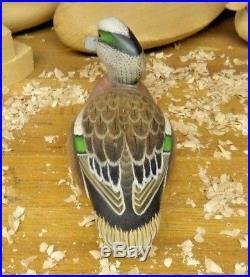 This full size carving of a drake Wigeon is painted exquisitely, it measures just under 14.5" long and under 5.5" wide 5.5 tall. It is in very good condition and as I said painted very well with detail. 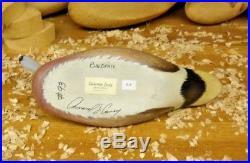 It is also signed by the carver on the underside. 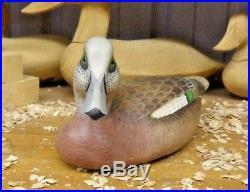 The item "Armand Carney (D-2008) Absecon N. Wigeon Drake Decoy" is in sale since Monday, October 15, 2018.